Beginning on January 1, 2017, insulin manufacturer Eli Lilly and Company plans to offer discounts to reduce the cost of insulin by as much as 40% for those who pay full retail prices at the pharmacy. The discount program may lower costs on insulin made by Lilly for people who have no insurance or who are in the deductible phase of high-deductible insurance plans. The discounts, which will be provided by Lilly through a partnership with Express Scripts, will apply to all forms of Humalog (generic name insulin lispro injection 100 units/ml), Humulin U100 (insulin human injection 100 units/ml), and Basaglar (insulin glargine injection 100 units/ml). The program can be accessed through a smartphone app or the Blink Health website, which does not have any fees or monthly premiums. Participants will enter the form, dosage, and amount of Lilly insulin on their prescription, after which the discount will be automatically applied. Payments will be made online, and the prescriptions will be available for pickup at “virtually any U.S. pharmacy,” including Walgreens, CVS, Target, RiteAid, Safeway, and Kroger. Purchases are fully refundable. Those who use the Blink Health platform will be going outside of their health plans, meaning that the price of the insulin may not be applied to their annual deductibles. Those interested in the program should compare the benefits to their current insurance options to determine which approach is best. People whose prescription claims are reimbursed by government programs are not eligible to use the discount platform. For more information, see the press release on the Lilly website. 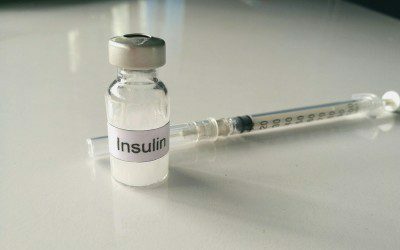 And for additional strategies to pay less for your insulin, see this two-part blog series on the cost of insulin by nurse David Spero. If you’re looking to save money on your medicines and other health-care costs, you’ll want to tune in to one of the upcoming webinars from NeedyMeds. Bookmark DiabetesSelfManagement.com and tune in tomorrow to learn more.